The evergreen Elizabeth has given rise to plenty of short forms. Would this one stand on its own? Thanks to BC for suggesting Bess as our Baby Name of the Day. You will meet women named just Eliza and Beth, but chances are that if you meet a Bess, she’s really Elizabeth or Elisabeth. 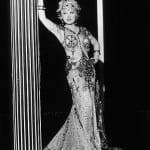 Bess last charted in the US Top 1000 as an independent given name in 1927. Bessie fared slightly better – she hung on until 1975. But In 2012, short forms like Tess and Millie feel fresh, and decidedly separate from longer forms like Theresa or Mildred. Mad Men has boosted Betty. And with all these boys wearing names last fashionable in the Colonial era, even Betsy feels at home with Nate and Sam. Does Bess fit in their company, too? She has more history than most. The daughter of Henry VIII and Anne Boleyn, Elizabeth’s childhood was tumultuous. Dad had mom executed when Elizabeth was a few months shy of her third birthday. Elizabeth was declared illegitimate. But despite these trials, she still received an outstanding education, and survived the reigns of her half-brother Edward and half-sister Mary. If Bess was a nickname used in her household, it isn’t recorded. Instead, Good Queen Bess was a popular way to refer to the monarch, whose rule is often characterized as a golden age, capped by the English defeat of the Spanish Armada. Bess of Hardwick, also christened Elizabeth, was a few years older than the queen. The much-married noblewoman ended her days as Countess of Shrewsberry, but she’s best known for the stately homes she built with the fortune she amassed, as well as the extraordinary collection of textiles she helped create during her life. Other women at court during the Elizabethan era shared the name. It was very common to be named after a godparent, parent, or other close relation. This narrowed the name pool – and surely must have increased the reliance on diminutive forms. 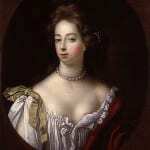 The future Duchess of Devonshire, Elizabeth Cavendish – known as Bess – was part of a scandalous love triangle with William and Georgiana – the Duke and his first wife. Hayley Atwell played Bess in the 2008 movie about Georgiana, The Duchess. George Gershwin, his brother Ira, and husband-and-wife team DuBose and Dorothy Heyward get credit for the enduring Porgy & Bess. The folk opera first debuted in 1935. The Heywards had titled the original novel and play just Porgy. But Bess, his love interest, has been part of the title for years. Another Elizabeth-called-Bess would marry Harry Truman, and so become the First Lady of the United States in 1945. One of Nancy Drew’s BFFs is Bess Marvin, usually described as soft-hearted and easily frightened – the opposite of Nancy and the other member of their trio, tomboy George. This takes us to 2012, when Bess sounds like a throwback. But a throwback to what era, precisely? She was most popular as an independent name in the 1880s and 1890s, along with Emma and Clara, Alice and Grace – but also Ethel and Bertha, Minnie and Ruth. Just because some made a comeback doesn’t mean that all of them will. The safe path is, of course, to pen Elizabeth or Elisabeth on the birth certificate, and just call your girl Bess. But with all this history behind her, Bess could stand on her own. My name is Bess (not short for Elizabeth) and I’ve grown to love it. I’m in my mid-thirties and still am called Beth a lot (a name I’ve grown to dislike). We named our daughter Elsa because it is similarly short, old fashioned, and has the same root meaning. I know an Elizabeth who goes by Bess. She’s a teenager now and all I’ve ever known her by is Bess. Elizabeth has so many great nicknames! I know a girl called Bess and meeting her crystallised something in me that had always loved the name Bess without realising it. I love Tess too, but not Teresa, Jess and not Jessica and so on. I’m having twin girls soon and I think they will be Bess and Nell but I believe you should always use the long version of a name when there is one, so they will be Elizabeth and Leonora. I really hope one of them is a redhead and gets to rule England. I’m in my early 30s and one of my best friend’s name is Bess (not a nickname for elizabeth) and I love it! I think it suits her too – sweet and stylish. Do you think it works as a nickname for Beatrice? I’m starting to love it. Oh, it definitely could! Love that idea. There’s something clunky about it that doesn’t clunk in Tess and Nell, to my ear. Bess fits in so well with other spunky short forms like Tess and Nell that I’m surprised not to have met one yet. My carefully chosen young daughter’s name has turned into Bessie by my son who cannot pronounce Verity. I always think of a nice big heifer, but it is becoming a more endearing family name two years on. I like the name Bess, she’s short, sweet and a slight reminder of a truly wonderful Queen. I have a slight preference for other Elizabeth offshoots such as Elsa, Elsie and Betty so I’ll probably never use the name despite my fondness for her. My middle name is Elizabeth, and it is a name that I quite adore for a first name. That being said, there are many of the pet forms of Elizabeth that I adore, (Eliza, Lizzy, Libby, Beth, Ellie, Betsy, Elsie) but Bess is not one of them. I don’t know why. I think it always seems like a “fat” name, which I can only attribute to all the Bessie-the-cows that are out there. 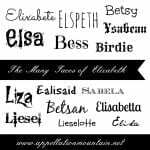 I even like the Elisabeth spelling, which leads to Bess more than the other spelling. My cousin’s youngest daughter was almost named Elsie, but ended us Tessa instead. Don’t forget about the English musket called the “Brown Bess,” used against Americans in the Revolutionary War, I believe! I like Bess, too, but “Bessie” for me will always be my grandfather’s bossy, ornery old mare, so would probably not use Bess for that reason. I love Bess, Betty, and Betsy. I actually don’t care for Elizabeth so I’d be inclined to put any of these 3 on a birth certificate and just go with it. Bess is pretty, but I really only like it as a diminutive of Elizabeth. Perhaps it’s the 3-syllables versus only the 1, but Eliza really feels like an independent name unlike Bess. I do think Bess is a bit fresher than Beth or Liz, though I have a soft spot for Beth. I adore Bess! It’s my favorite nickname for Elisabeth, but I think it could work on its own. I work with a girl named Elizabeth who goes exclusively by Bess. I’m so used to calling her that and seeing Bess on her e-mails that sometimes I forget that Bess is not her “real” name. I think it’s totally wearable to just name your baby Bess! My favorite Elizabeth diminutives are Libby and Betsy. But Bess is a worthy addition and its similarities to Tess make me like it more. I like Bess – much more than Bessie, and agree she straddles time! I’ve always wondered how far we are from Bessa, to be honest. Another example I can think of is Laura Ingalls Wilder from “The Little House on the Prairie”. Her husband Armanzo called her Bess, for her middle name Elizabeth! Really?! I didn’t know that. Love that fact! And Almanzo’s sister was Eliza Jane, a name I’ve always loved. Bess is sweet, but I still love Beth the most. I chose Elizabeth for the first of Agatha’s middle names. I wanted her to have as many choices for nicknames as possible. Bess is a definite possibility if she decides she doesn’t like Aggie. “Bessie” is a family name and one we hope to use if we ever have a girl, as a nickname for Elizabeth, which is also a family name. I know so, so many Elizabeths, but unlike other names I don’t feel like naming a daughter that makes it less exclusive given the plethora of nickname options. Most I know go by their full name, or Liz, but you have Elle, Ellie, Eliza, Liza, Lizzie, Beth, Betsy, Libby, Bess, and Bessie, to name a few. It’s classic, and it can be adult, girly, playful and nostalgic all at the same time. Bess is making me rethink using Elizabeth someday. I love it! Bess of Hardwick is totally my historical homegirl. Hardwick Hall was my childhood National Trust go-to. Thus I would expect a Bess to be a little bit kickass (like her Hardwick counterpart) and preferably ginger.